Our company was founded in Holliston, Massachusetts, in 1982 under the name of OTT Process Equipment. 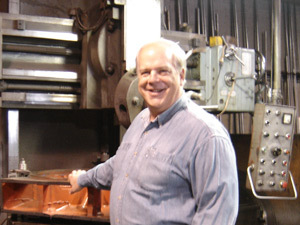 After working for OTT Process for several years, Scott Best bought the company, changed the name to Best Process Equipment, and moved the headquarters to Florida. The company now has sales, service, and training locations in Austin, Texas, Birmingham, Alabama, Boston, Massachusetts, and Kennebunk, Maine, and we enjoy a solid reputation the process equipment industry. For our customers, the entire process of purchasing, installing, and maintaining fluid handling systems must be easy and trouble-free. We understand that a solution is more than simply a pump-in-a-box. A pump solution must interact with all of your equipment and processes. You're in the business to make money, and we are ready to help on the fluid handling side of your equation. Consider this: You don't just buy our pumps – you hire us. This might be a little different from what you're used to. Sure, our product lines are the best in the industry. But you'll keep coming back because of our expertise, our integrity, our values and our fairness. When you give us an opportunity, what we quote will work. And if there's a problem, we make it right. And don't just believe us – ask around. See what our customers have to say. We have an outstanding reputation, built one customer at a time. Whether it's troubleshooting, start up, fabrication, repair, or just plain, no-nonsense advice, we are the pump specialists. Our goal is always to be an arm of your company. We exist to reduce your costs, and increase your efficiency. You deserve – and require – nothing less. Call or email today for more information on our process equipment design and installation.